Wish.co.uk is a website that specialises in experience days, selling everything from spa breaks and race track days to chocolate making and paintballing sessions. We worked with this experience day website close to the time of its launch and were tasked with trying to generate media coverage in the national press and subsequently increase product sales. "The cost of entire six month campaign was paid off within 48 hours of its launch from one piece of coverage in a national newspaper alone." We began working with Wish.co.uk in 2011 and devised a campaign which aimed to increase public awareness of the website and generate links that would drive traffic and potential customers to the site.Wish.co.uk sells Zombie Boot Camp experiences (paintballing with live actor zombie targets), so we advised the client that this would be a good product to focus on for our consumer PR activity. The nation’s love affair with zombies was just beginning and, as it was Halloween when our campaign began, this activity was perfectly timed. We put on a special event for journalists where they could come along and attempt to take on the zombies themselves.Journalists from the Metro, FHM, Pocket-lint and CNET attended the press day and took part in the experience. 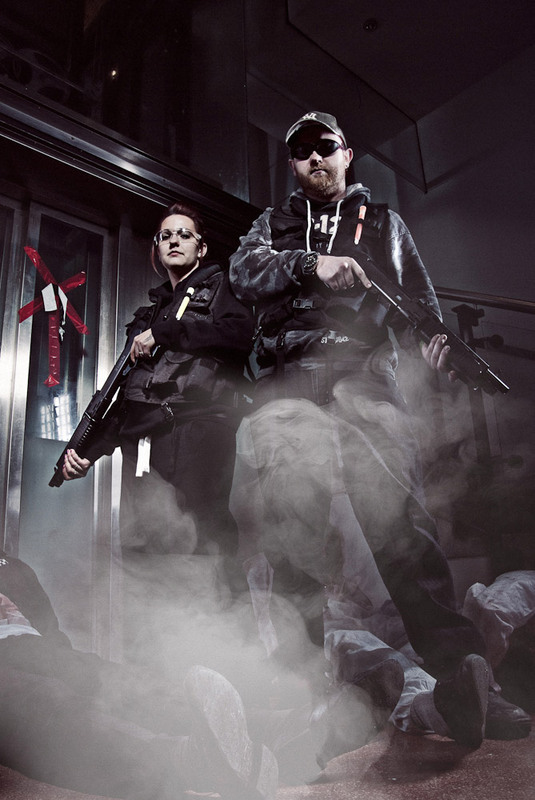 After military style training and being kitted out with riot gear, the journalists had to work as a squad to clear a mock Government Research Facility with their paint guns.Next, they were bundled into the back of a vehicle and driven around the industrial estate before the zombie actors descended onto the car. They had to take the hoard of zombies down as a team, before making their way into a derelict warehouse full of more zombies.The CNET journalists filmed throughout the experience, to create a video to show what the Zombie Boot Camp entailed. 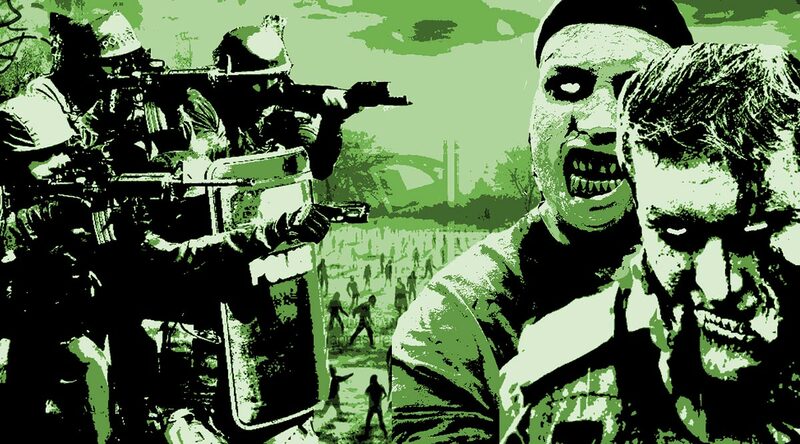 We also informed other media outlets about the Zombie Boot Camp, so that those who weren’t able to attend also had all the information they needed to write about the experience if they were able to. Journalists later had the opportunity to attend similar zombie experiences in a disused shopping centre in Reading and a derelict Manor House near Manchester. The coverage for the zombie experiences generated at least 400 pieces of online, offline and broadcast media mentions for Wish.co.uk, reaching more than 800 million people worldwide. Celebrities tweeted about the experiences too, such as Simon Pegg, Derren Brown and Justin Bieber’s stage manager. The Metro story ended up being the page three lead in the newspaper, with an accompanying piece online, which caused a huge spike in sales. The PR objectives were met within one week of launch of Zombie Boot Camp and Wish.co.uk drove 96% of total sales for the supplier.In 2012, we won a CIPR PRide West of England Gold Award in the Consumer Relations category for our Wish.co.uk zombie campaign. Halloween was a great time for us to launch the Zombie Boot Camp experience and invite journalists to have a go, because it was seasonally topical, but we wanted to see if we could keep the momentum up after the spooky date in the calendar had passed.We created a stunt around a recruitment process for a new zombie actor. The Zombie Manor House had an opening for a new zombie to scare people during the experiences, so our next move was to create a story around this.Initially, we teamed up with a well known recruitment website to promote the fact Wish.co.uk was recruiting for a zombie, but an application form page was also added to Wish.co.uk for those interested in putting themselves forward. Stephen Fry tweeted that the zombie auditions would be taking place, which led to a surge in applicants.Next, the 270+ applicants were invited to audition in full zombie attire and makeup at Pineapple Dance Studios in Covent Garden, where we had a photographer to take plenty of images to sell into the press. After the zombies had auditioned in front of a panel of judges, 50 or so joined the Wish.co.uk team on a zombie walk through London.The zombie audition process and resulting photos gave us another opportunity to publicise the zombie experience days and helped to boost coverage levels.Another stunt that we carried out for Wish.co.uk centred on Valentine’s Day. We took their standard ‘Romantic Break for 2’ package and worked with a hotel in the Lake District to rebrand it as a ‘Romantic Break for 3’ The risqué approach certainly did the trick in terms of generated even more national media coverage, in the likes of The People, Metro, on BBC Radio 5Live and in The Sun.